Pale yellow with a greenish hue. Flavor notes include a tangy tart taste with a mildly sweet finish. Perfect for fresh cut with your favorite dip, salads, cider and for a saucing blend. The Ginger Gold was discovered in the 1960's in Virginia. 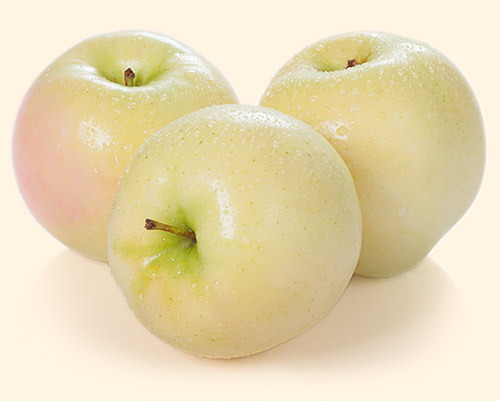 It is a cross between Golden Delicious and Albemarle Pippin and an unknown. Did you know? It was brought about by the floods of Hurricane Camille.